I remember my first Great American Beer Festival — well, most of it. Roughly ten years ago, I was still reveling in my first year of legal drinking, and making ends meet slinging a popular pale ale from my hometown brewery in Colorado. I was living the dream of any avid craft beer drinker, and that good life hit its peak for three days in the fall when I got to attend my first GABF. It was 2007 — the first year that the iconic festival sold out in record in time — one week. Just seven years later, the now 37-year-old festival would start a continuous trend of selling out thousands of tickets within an hour. But on Thursday, for the first time since 2014, the Great American Beer Festival did not sell out. Tickets for the Thursday night session were still on sale up until the doors opened to the Colorado Convention Center at 5:30 p.m. Scalpers and people with extra tickets stood outside for hours leading up to the official start time, offering late-comers tickets for under face value — most offers passed up or not entertained. While the Brewers Association, the organization behind the massive festival, did add 100,000 square feet. and 2,000 additional tickets (bringing the grand total to 62,000 tickets for sale), there didn’t seem to be a big demand to get inside of Colorado Convention Center this year. But it wasn’t just attendees that weren’t beg, borrowing and stealing to gain coveted entry into the 2018 Great American Beer Festival. Many breweries were also notably absent — and not because space wasn’t available. According to the Brewers Association, every brewery that applied to pour at the festival this year was accepted, an abnormality from years past which typically includes a wait list. Like many beer nerds, I spent Thursday afternoon scouring the participating brewery list, mapping out my game plan to be as efficient as possible once inside. 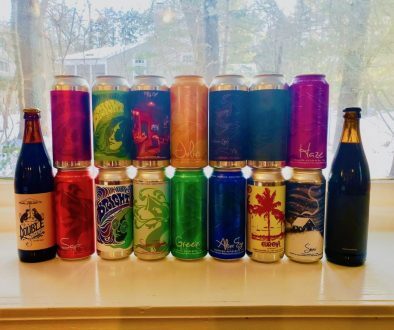 Pulling inspiration from years past, I instinctively sought out Jester King in an attempt to bypass their standard long lines right out of the gate. But the brewery didn’t attend this year. Scratch Brewing Co., who drew in long lines in previous years, was also left off the list. 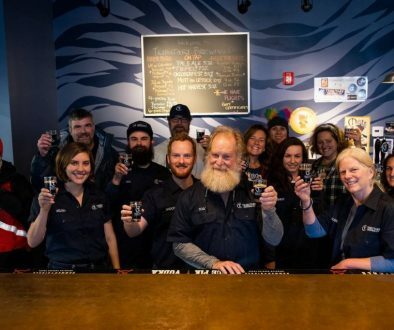 Vermont, a state that is home to the likes of Hill Farmstead and The Alchemist — two breweries that have some of the biggest cult-like followings in the realm of craft beer — was only represented by the Vermont Brewers Association and one other brewery. There are no breweries from the state of Vermont pouring at the fest. It was more evident than ever this year that things are changing for the Great American Beer Festival — and by extension, the craft beer industry. Many out-of-state breweries were absent on the brewery list this year. At a festival where the big dogs are paying upwards of $10,000, and the little guys are still shelling out a few grand just to have a booth (let alone the cost of sending beer, flights, hotel rooms and such), many breweries seemed to question the relevance of the festival to their brand. The 2018 GABF was a well organized alphabetical line-up of breweries from across the country, save the cluster-f**k that is the Meet the Brewers section. But gone are the days of the biggest and baddest breweries rocking the end-cap booths. Oskar Blues and its CANarchy compatriots were pouring beers at one of the hardest-to-get-to places inside of the pavilion. Stone Brewing Co. was eclipsed by the line for WeldWerks, one of Colorado’s hottest, and trendiest breweries — who threw down a Peanut Butter version of their popular Medianoche limited release beer — which proved to be a terrible (for the palate) and also excellent (insanely flavorful and almost-too-smooth-for-it’s -ABV) first taste of the festival. Avery Brewing Co — which once threw down the dollars for an end-cap in order to somewhat mange their expected long line — was relegated to smaller booth this year — to adhere to the Brewers Association’s guidelines of what it means to be a craft brewer after selling 30 percent stake in the brewery to Spanish brewing company, Mahou San Miguel in 2017. For Coloradans, this year’s GABF proved to be a map of the state’s craft beer scene. From tiny, new breweries, to the old guard, the state was heavily represented this year, most likely taking advantage of proximity being a favoring factor on the budget, and no waitlist for entry. But this year is different, so far. Things are changing. Is the Great American Beer Festival still relevant? Is the lack of interest and the unspoken-for tickets a reflection on the craft beer industry as a whole that has seen a two-percent decrease in off-premise sales in the past year? 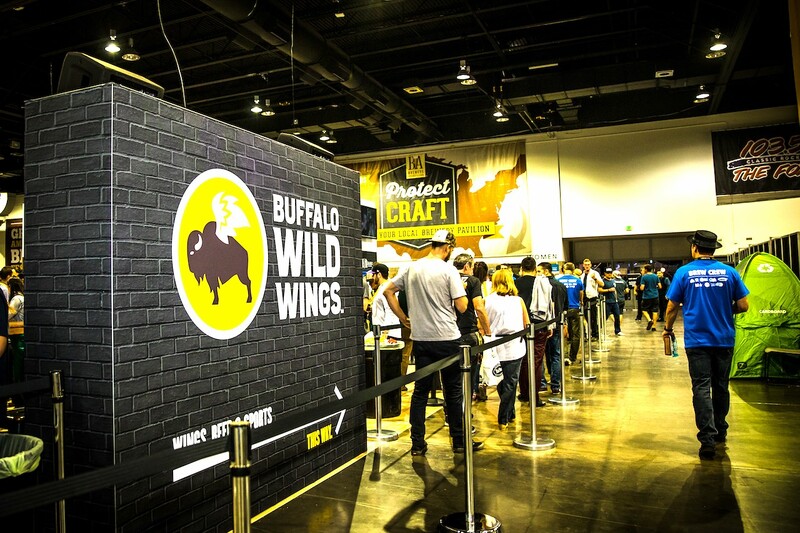 Craft beer drinkers are more loyal to their neighborhood taprooms these days, which explains why the 10 TVs in one of the Great American Beer Festival’s top sponsors, Buffalo Wild Wings, 3,600-squre-foot activation, was full of wing-eating, somewhat craft beer enthusiasts captivated by the screens showcasing their favorite sports, but many well-known breweries at the fest had short lines. Fascinating opening-day account. I look forward to your observations and comments for the rest of the festival. I do wonder if the age of the large multiple-day beer festival is coming to a close, whereas the smaller single-day festival (Modern Times Festival of Dankness comes to mind, which sold out last month) continues to thrive. I think it’s worth noting that a lot of hype breweries who are not attending the actual GABF sessions have made appearances in Denver at smaller tapping events (Side Project, Jester King, Sante Adairius and many others). But you make a fair and interesting point. Cheers.